You’d be forgiven for thinking only of ice cream and beaches at this time of year but we must bring you back down to earth (sorry about that!). It’s because now is exactly the right time to consider getting your home or workplace winter ready – as they say – ‘The time to repair a roof is when the sun is shining’. If you see any of these the issue will need further investigation. 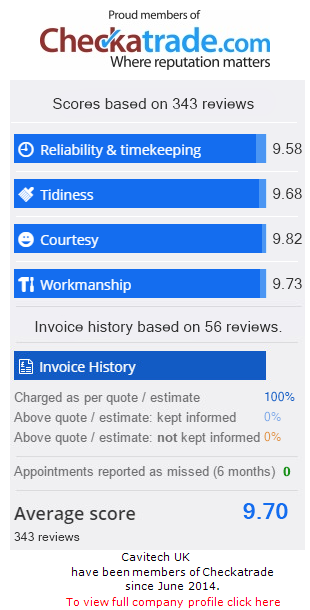 We’re happy to help if it’s to do with render, brickwork or defective insulation, if it may be due to something else – a slipped tile or water leak for example – we suggest you find a reliable local builder on www.checkatrade.com where everybody I verified and you can search customer reviews. So have a quick check around today and then go back to enjoying the Summer, at least while it lasts.